This summer, many families will be hitting the road and driving to their summer vacation destination. 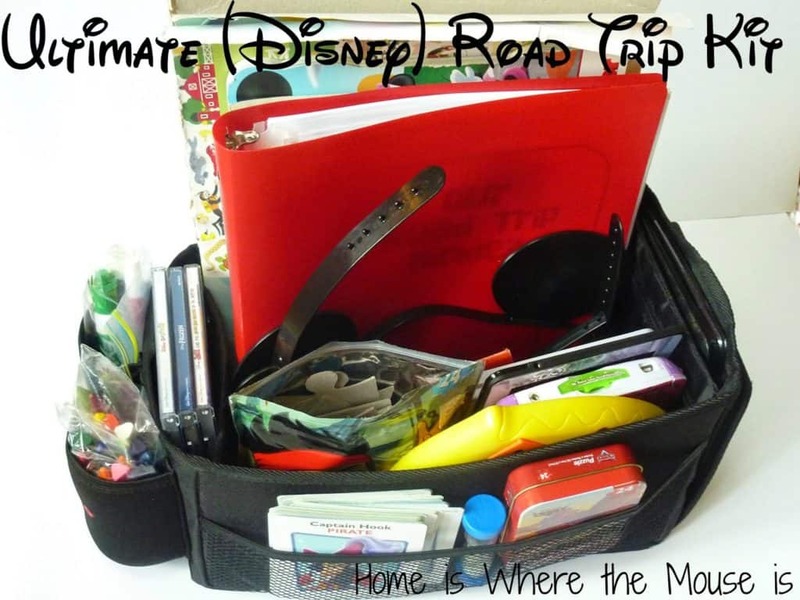 Have a fun and relaxing road trip by including The Ultimate (Disney) Road Trip Survival Kit. Having one of these will ensure lots of entertainment and the miles will just fly by. For our family, road trips are a way of life. 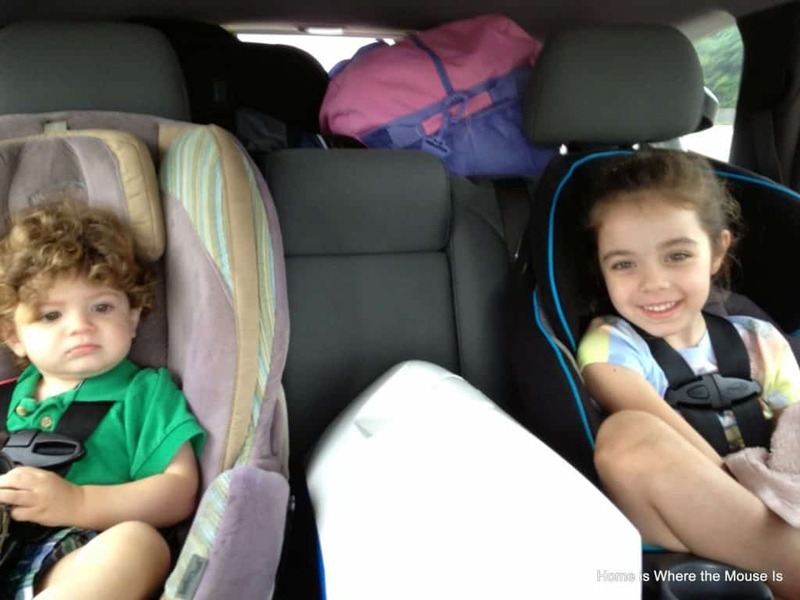 With both of our families out of state, our kids have been taking road trips since birth. As they have gotten older though, we have found that we need more in the car to keep them occupied. Last summer, as we were preparing for our road trip to Disney (from NY that’s 20+ hours) with a 6 and 2 year old, I wanted to make something for the car that would keep them both occupied and entertained at the same time. 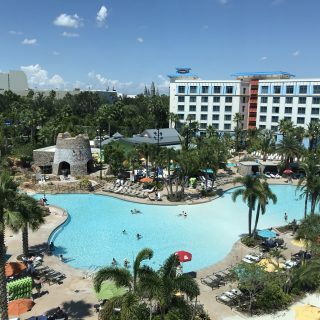 This is how The Ultimate (Disney) Road Trip Survival Kit came to be. 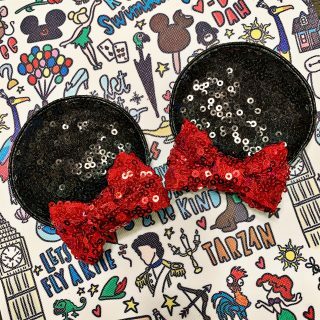 I use the word Disney in parenthesis because this kit can be used for any road trip. from Amazon. What I like about this one is it has a lot of pockets and some zippered compartments for small things. 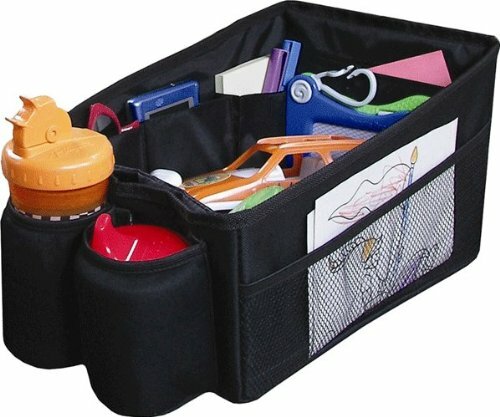 It is also big enough to hold a wide variety of items. for our toddler son to do his activities. Our daughter used the binder to lean on, but you could also have a small lap desk in the car. Now it’s time to fill up the bin. You want to choose different kind of items so the kids feel like they are not doing the same type of thing over and over again. 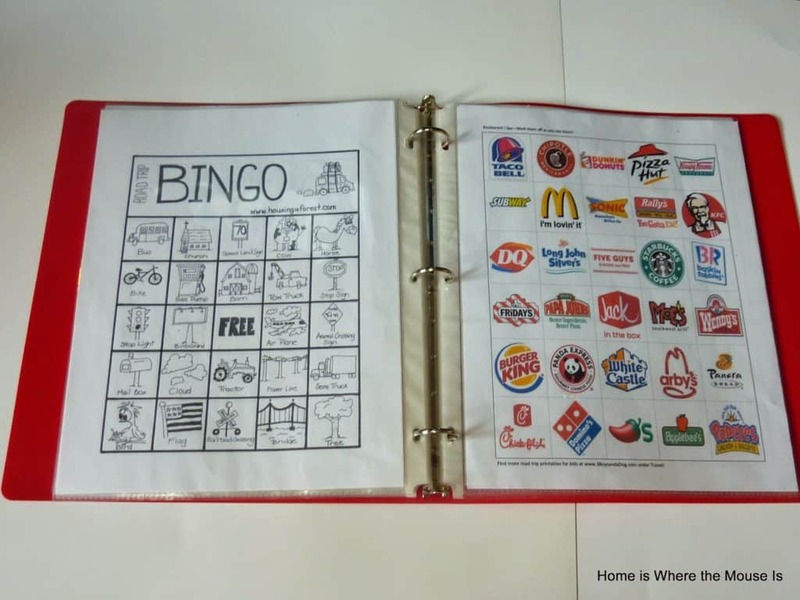 Also, put some activities in here that will get the whole family in on the fun. I also printed some pages from Disney Junior such as mazes and coloring pages. I found some new pages on Three Boys and a Dog for this year’s binder. 2. Crayons and coloring books – Buy the triangle crayons so they won’t roll. Put them into a small baggie (one for each kid) to save space. 3. 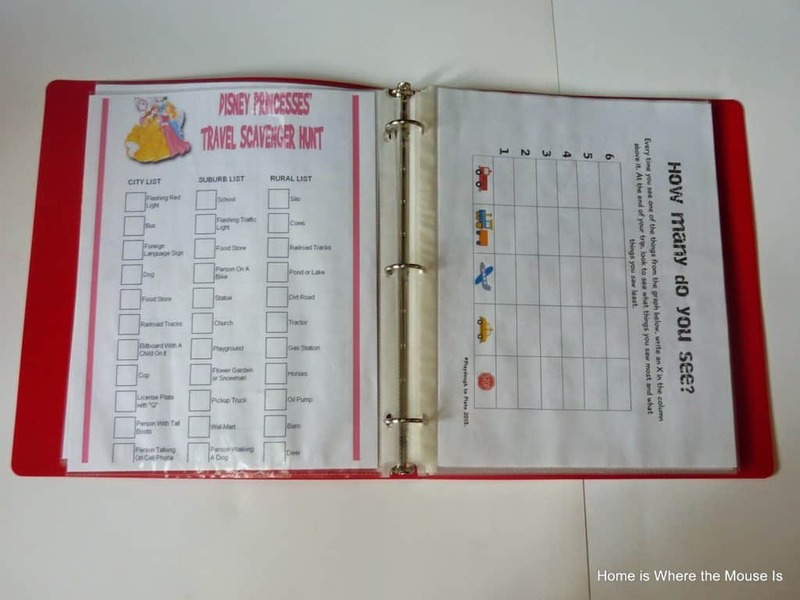 Dry Erase board and markers – These can be found at the dollar store. The markers are also good when using the Activity Binder. 4. 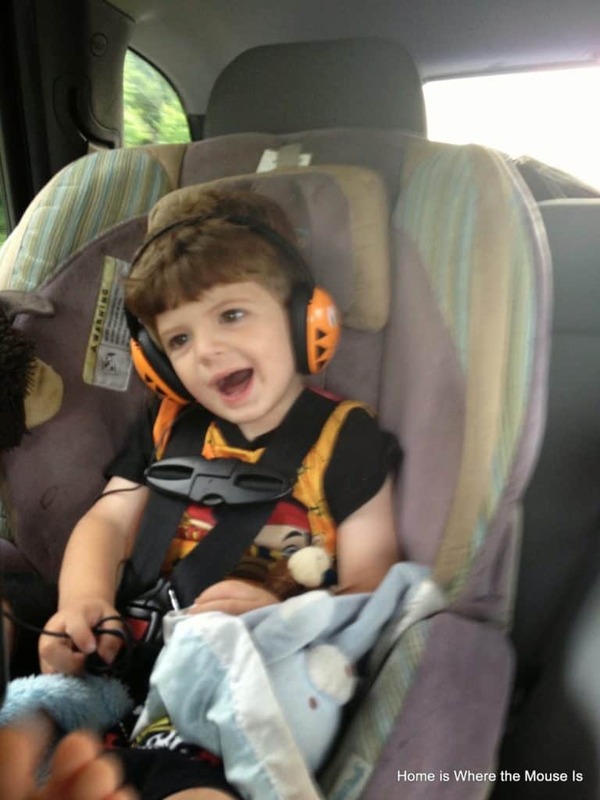 Music CDs – A fun road trip always has some great tunes. 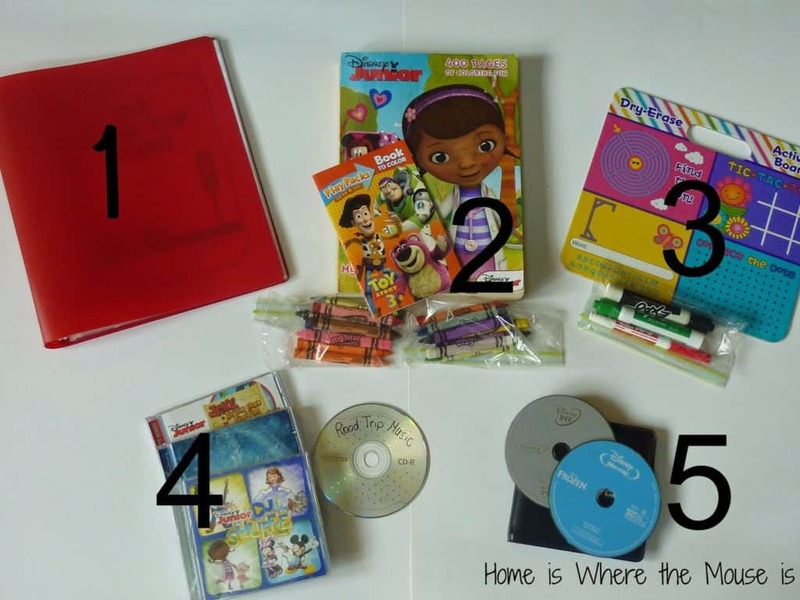 We included some family friendly CDs and a homemade Disney Road Trip Mix. 5. DVDs – We purchased a dual-screen DVD player to have in the car. The one we got is great because you can easily move it from one car to another, and it allows you to watch the same DVD on both screens, or to play separate DVDs in each. I took some of their favorite DVDs and put them into a CD holder to save space. Each has a headphone jack, so the kids could watch their movies and we could listen to music at the same time. * We designated after eating times for DVD watching , otherwise that’s all that they would do. 6. 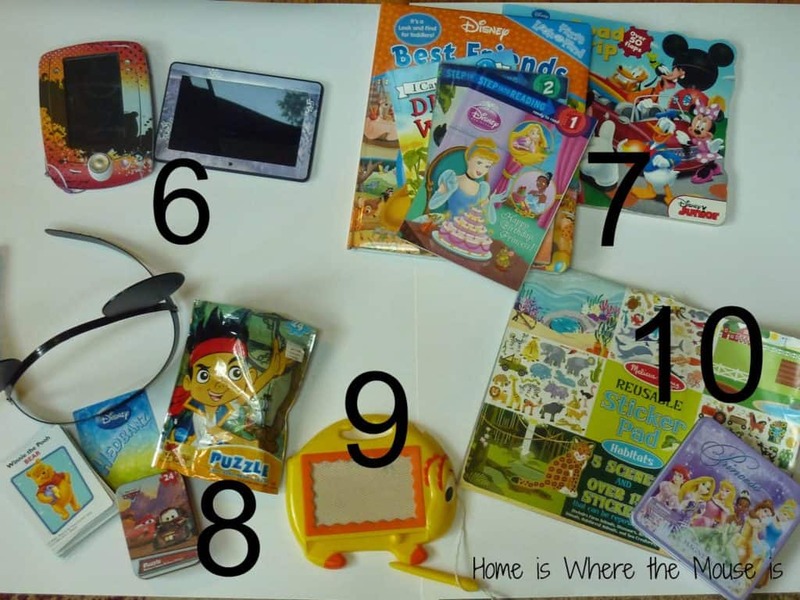 Electronics – We bring along the Kindle Fire for the 7 year old and the Leapfrog Pad for the toddler. Both are allotted a set amount of time to play. 7. Books – Provided your child doesn’t get car sick, books are a great way to pass the time. You could also pre-load some books on a Kindle to save room. You could also listen to an audio book as a family. 8. Puzzles and Games – Many of your kids favorite games come in travel sized. You can also include puzzles. A good tip would be to add a magnet to the back of each piece and have them assemble it on a small baking sheet. *My daughter came up with bringing the Headbanz game. Great idea! 9. Etch a Sketch or Magnadoodle – These are fun for all ages. Both our kids have a small one in the kit. 10. Stickers and Magnets – Our kit has a reusable sticker pad. If you are bringing a small cookie sheet for puzzles you could also pack magnet sets. Make sure everything is within arms reach. 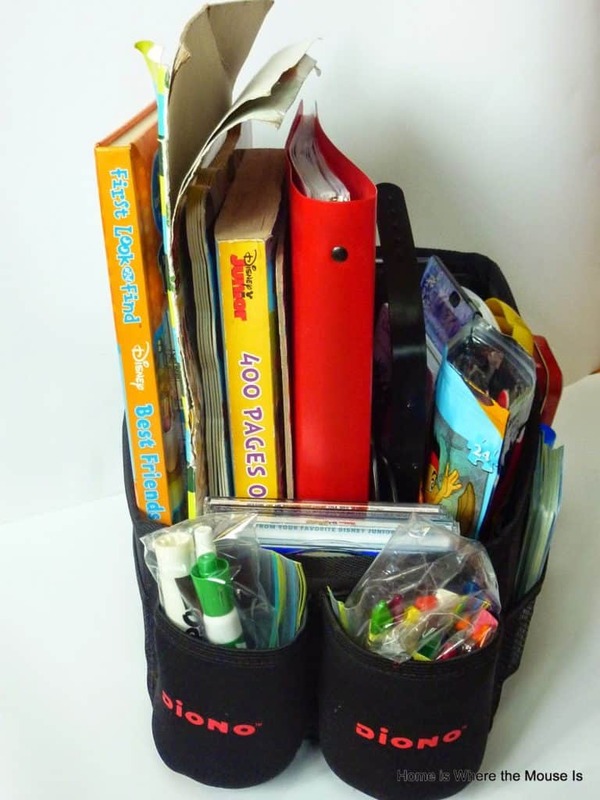 Everything in this kit is adaptable depending on the ages of your kids. Use these suggestions as a guideline so you have all of your bases covered. Our new and improved 2014 kit will be hitting the road very soon. We’re hoping that everything we packed will keep our kids occupied as we make the 20 hour trip to Disney! 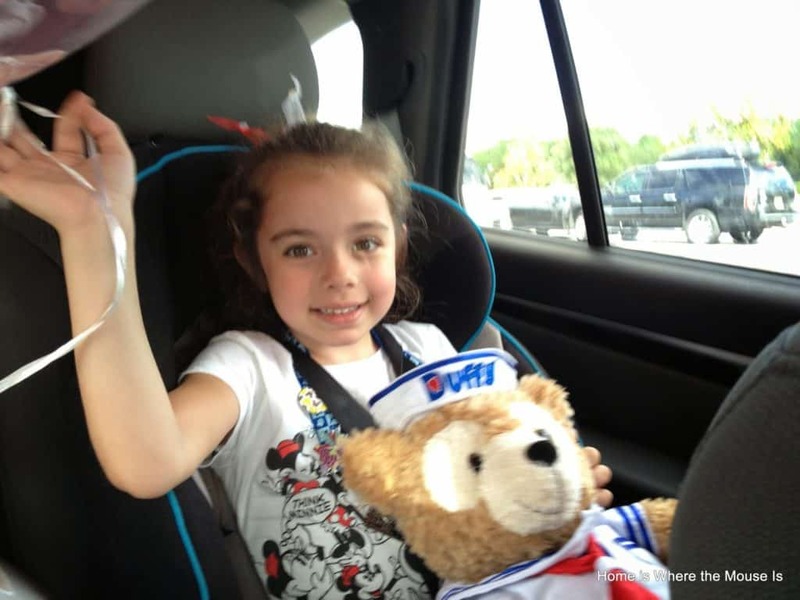 What are some things your kids like to have in the car to keep them entertained? You're welcome! I love driving so much better than flying, but you have to be prepared! Oh man…LOVING your ideas. We have headbanz fun idea for the car! 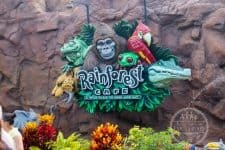 You HAVE to be prepared with snacks and activities or travel is miserable..thanks for these tips! My 7 year old suggested headbanz! I didn't even think of it! Snacks and activities are a must or you'll have some miserable kids when you get there! I've done something similar to this in the past, but never this organized! I love these new ideas and how contained everything is. Thanks so much! Unfortunately it doesn't look like that by the end of the trip! We've yet to be daring enough to travel to Disney by car. However if we do, I'm using this post to make it easier. Thanks for including the helpful links! You're welcome! I know your ride will be a bit longer than ours, but if you do it the more stuff to pass the time the better. These are great suggestions! We bought our boys each one of those big sticker books from DK Publishing with about 1,000 sticker in it. That kept them busy! I have to get a new one for this year's trip! Thanks for reminding me! Man, I needed this two weeks ago! LOL! Now I'll just plan ahead for our November road trip to WDW! Love that container! I love all the separate compartments. It fits nicely between two car seats too! Great ideas! Your road trips look like they are a lot of fun! 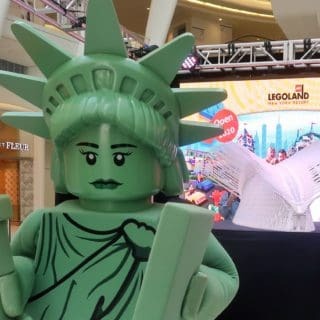 Happy summer traveling!! Thanks! We try to make the most of the time we have on the road! Great tips! I will have to remember these for when I have kids! I'm sure some of these ideas could be adapted for adult road trips. James and I used to play Encore when we drove before kids. Thanks for stopping by! We hope you find the tips helpful!